Place of original Made in Foshan, China. 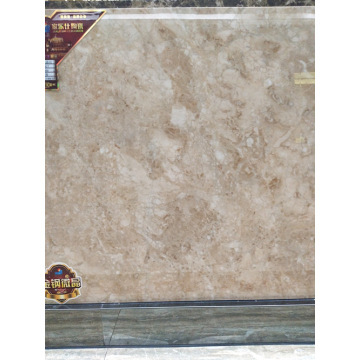 Our tiles can be used for wall and floor in living room, bedroom, corrider, washing room, ect. And we are popular with projects, such as hotel, school, apartment, villa, hospital, supermarket and other public projects. Multiple ways to protect your tiles, ensure low breakness percentage for you. 1. We have professional QC to inspect the goods and load the containers. 2. We can provide free samples, express cost is on client account. 3. OEM / ODM is availble for mass production to oversea clients. Our factory got ISO9001-2008, authenticated by TUV organization. Our tiles passed the stardand of GB 6566-2010 which is the test certificate for tile industry. Foshan Jialeshi Building Material Co., Ltd., is located in Chancheng, Foshan, famous ceramic city in China. We are specialized in production and exportion for Polished porcelain tile & Marble glazed tile. 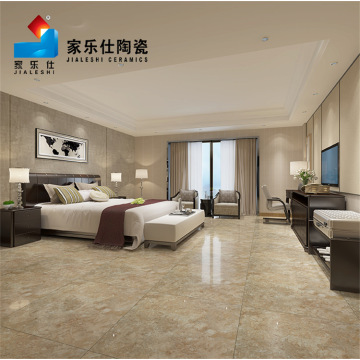 For FOSHAN TILES, we have marble glazed tile, diamond crystalline stone tile, Crystalline marble tile and full body marble glazed tile for selections. 10. IF YOU FEEL INTERESTED IN FOSHAN TILES, PLEASE CONTACT US! • Your inquiry related to our products & prices will be replied within 24hours. company has always been a target. any question or inquiry , pls feel free to contact me . 1. Why to choose JIALESHI? We are the manufacturer specializes in producing tiles. 2. Can I have some samples? Certainly.We would like to offer you samples according to your requirement. It may take you 3 or 4 days before arrival. 3. What kinds of ceramics tiles can you provide us? 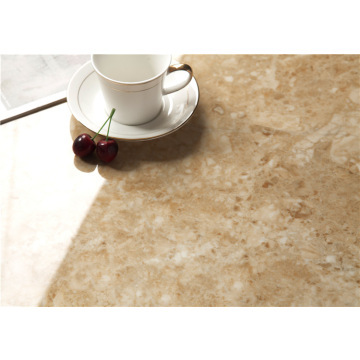 Mainly produce 3 varieties of tiles: Micro crystal tile, Marble glazed porcelain tile, Polished porcelain tile. Each variety has different colors and different patterns. You can find more related information by searching ‘jialeshi’ . 4. What is the time of shipment? It depends on where would you like to send and what time would you like to send. But we will make your delivery as quickly as we can. Packed in paper carton and wooden pallet. 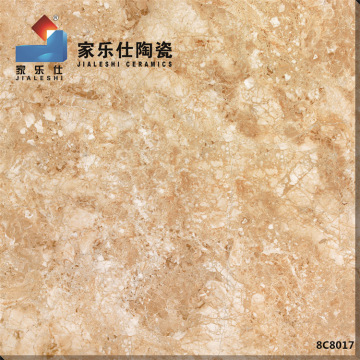 Foshan JiaLeshi Co., Ltd, located in Chancheng, Foshan, where the center of ceramic, is a tile company specializing in production of Marble glazed tile , Micro crystal tile , Polished porcelain tile ect. The products are characterized by good quality, high-level of magnetization, strong abrasive resistance, low water absorption and great gloss. Different kinds of size are available here. JIIALESHI Ceramics has paid high attention to the market movements since establishment. Laying emphasis on credibility and product quality, utilizing advanced technology and modern management system, constantly development new products, the corporation enjoys a high prestige in the industry. Clients have always been the priority. The win-win situation between customers and the company has always been a target. Therefore, JIALESHI Ceramics will spare no effort to creat a brighter future. Foshan Jialeshi Co., Ltd. located in Chancheng, Foshan, where the center of ceramic, is a tile manufacturer specialized in production of Marble glazed tile , Micro crystal tile , Polished porcelain tile ect. The products are characterized by good quality, high-level of magnetization, strong abrasive resistance, low water absorption and great gloss. Different kinds of sizes are available here. JIIALESHI Ceramics has paid high attention to the market movements since establishment. Laying emphasis on credibility and product quality, utilizing advanced technology and modern management system, constantly development new products, the corporation enjoys a high prestige in the industry. Clients have always been the priority. The win-win situation between customers and the company has always been a target. Therefore, JIALESHI Ceramics will spare no effort to creat a brighter future.